Please see the range of air quality products we supply, below. For further information on 3D printing and air quality please click here. Manufactured from a high-grade aluminium-skinned composite sheet. Magnetic acrylic front door to keep the heat in and the dust out while still enabling you to view your print. Comes flat-packed. The only thing you have to supply is superglue. 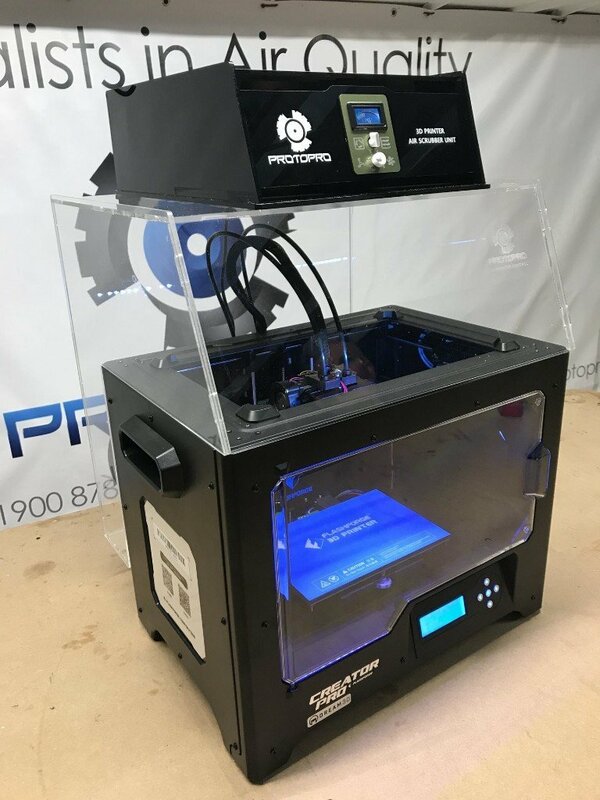 Removable top panel and pre-drilled holes and cut-outs to make installing your Creality 3D printer as easy as possible. The holes in the top panel also enable connection to our Air-Control Unit for 3D printing. A blanking plate can be supplied if you do not wish to use the air scrubber unit. We will also supply stl files for a filament reel holder and other plastic components to align your printer in the case. We have found this case assists with producing better PLA, PETG, Nylon and ABS prints. 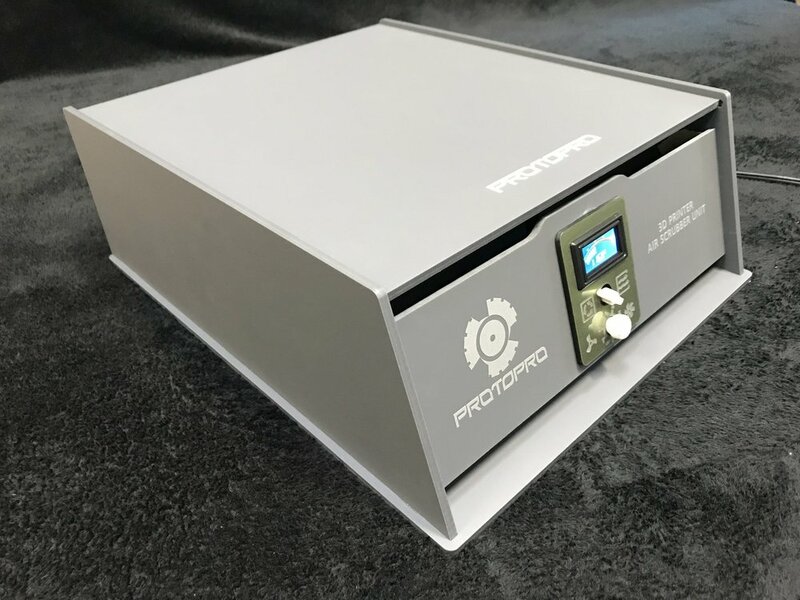 We use a CR10 printer in our case in our workshop and find that we are able to get great ABS prints with no extra mods needed to the heatbed. The case ensures a constant heated environment while the printer is in use. *UK only. If you live outside the UK please contact us for a shipping quote and invoice. Shows case complete with air scrubber. We have designed this case for a Flashforge 3D printer as we have one in our workshop. Manufactured from 5mm clear acrylic and replaces the top cover that comes with the printer. Competely covers the top and back and fits over the filament reels at the back. This protects your filament from dust and if used with a silica gel pack inside help with moisture control. Clear acrylic allows you to see how much filament is being used and also watch your print through the cover. Comes flat-packed - easy to assemble in a few minutes with solvent supplied in the kit. Full instructions supplied. If PVA filament is used as a support material this case and air scrubber with its silica gel pack inside, will help keep the filament dry. Shows how filament is covered. There are other versions of ‘Air-Scrubbers’ in the market place, but we believe ours to be the only solution to solve all the issues surrounding 3D or ‘Additive Manufacturing’ process fumes. Fits all 3D printer cases we manufacture. Information for the filters we use can be found here. We recommend changing the pre-filter once a month for heavy usage and the gas filter once every 6 months.